Standard Bottle Fed Cooler Rental from £3.00** per month (1st full month rent free). 18.5L Bottled Spring Water from £4.99** per bottle. Bottle Fed Sanitisation (quarterly) £10.00** per cooler, per sanitisation. 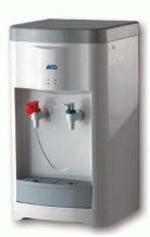 Standard Point of Use Water Cooler Rental from £15.00** per month including installation and 6 monthly filter change sanitisation (1st full month rent free). (Special offer currently available see home page side bar for more info). 1000 Recyclable Plastic Cups from £13.50** per box. 500ml plastic bottles (still or sparkling) - price on request**. 750ml glass bottles (still or sparkling) - price on request**.